We get many requests on how to export a project with the Menu, and then to make it work in WordPress or Joomla. This demo shows how to do that in Nicepage, and that is done easily. 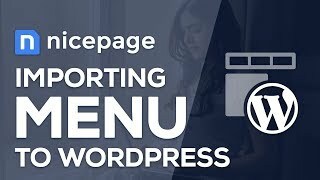 This video explains how to export a theme with the Menu created in Nicepage, and then import it into WordPress. 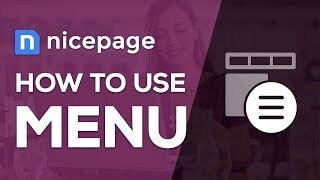 This video explains how to export a theme with the Menu created in Nicepage, and then import it into Joomla. Subscribe our YouTube channel so you do not miss our new videos. Support for the Section Height in numerical values . CSS units like vh, vw are now supported. Video: Fixed the issue with the Autoplay. Now the Mute is enabled by default, so videos can play automatically. The compatibility with the Jetpack Extension is fixed. Continued adding many new site designs every day! Follow us on Facebook to see what happens every day!